يحظى فندق فندق جايمس كوك جراند تشانسلر بمكان متميز في محور المدينة والاستمتاع بـ مطاعم, تسوق, سياحة في هذه المنطقة الفاتنة. يمكن من هنا للضيوف الاستمتاع بسهولة الوصول إلى كل ما تقدمه هذه المدينة النابضة بالحياة. يشكل هذا الفندق ملاذاَ مريحاً للاسترخاء ويمنح زواره فرصة للاستجمام والتجدد، وهو يقع على بعد خطوات من المعالم السياحية الكثيرة للمدينة. إن الخدمات الممتازة وحسن الضيافة العالي في فندق جايمس كوك جراند تشانسلر تجعل إقامتك تجربة لا تنسى. هذه بعض الخدمات الموجودة في هذا الفندق: خدمة الغرف على مدار الساعة, واي فاي مجاني في جميع الغرف, مكتب الاستقبال على مدار الساعة, مرافق مخصصة لذوي الاحتياجات الخاصة, تخزين الأمتعة. ادخل إلى واحدة من الغرف 268 وتخلص من عناء نهار طويل بمساعدة مجموعة كبيرة من الخدمات كمثل تلفزيون بشاشة مسطحة, سجاد, قهوة فورية مجانية, شاي مجاني, مرآة الموجودة في بعض الغرف. يقدم الفندق مجموعة رائعة من الخدمات كمثل مركز للياقة البدنية، لجعل إقامتك تجربة لا تنسى. يحظى فندق فندق جايمس كوك جراند تشانسلر بموقع ممتاز وخدمات يصعب منافستها. أجر إضافي يتراوح بين1.64% و 3.35% سينطبق عند استخدام بطاقة إئتمانية. لمزيد من التفاصيل برجاء التواصل مع العقار. Lovely place to stay and it is walking distance to all the attractions in Wellington. 10 mins walk to the Beehive, >5 mins walk to all shopping and about 10 mins walk to Cuba Street. Would recommend anyone who is looking to visit Wellington. The hotel location is very good, in the city center, and you can use the back door access to the shopping area and the lake. good room and clean. the only problem was the price I got for ordering through Agoda was only for the 1st day, although I booked for 2 days. Because they said it is common in Wellington that the room price is always fluctuating. 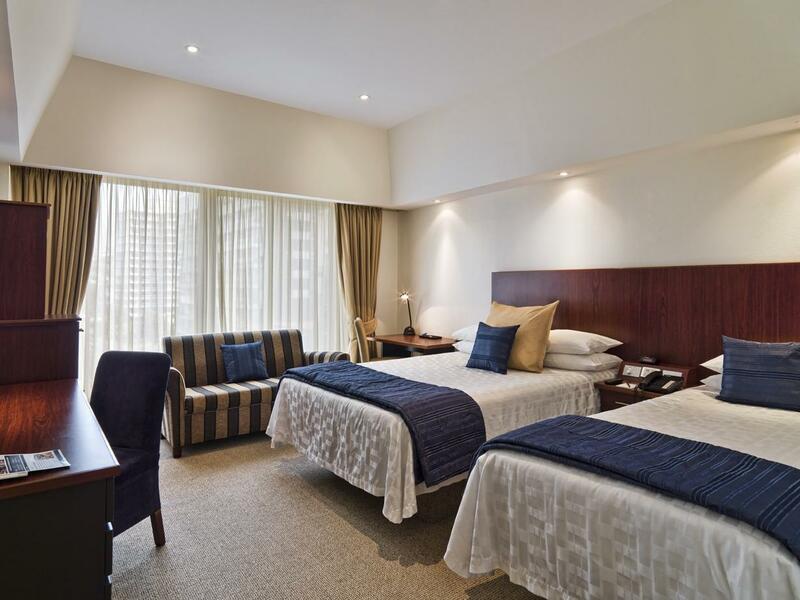 The hotel is in a hood location with one access point via an elevator on to one of Wellingtons main shopping thoroughfares. The lifts are one of the main issues as there was often a number of people waiting. Rooms are fine, if a little on the smaller side but perhaps looking a little dated. We stayed for a week and the price on Agoda was good value. It is right in the CBD. 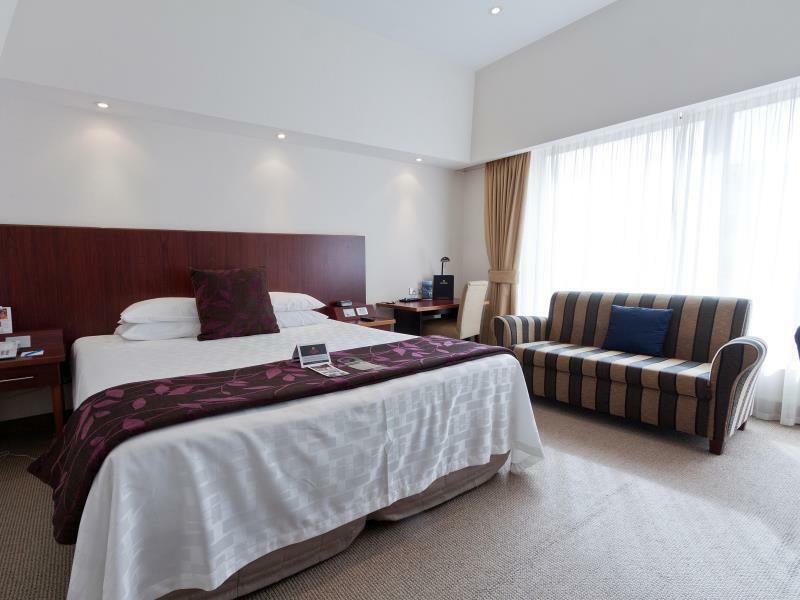 This hotel was build in 1972 but has been very well refurbished and maintained. The only concern was about the cost of the internet if you need to use it frequently and the problem with vehicle access for cars because taxis are occupying the limited drop-off area. A warm welcome by night shift manager and he is really very helpful. Feel warm and welcome by his service. 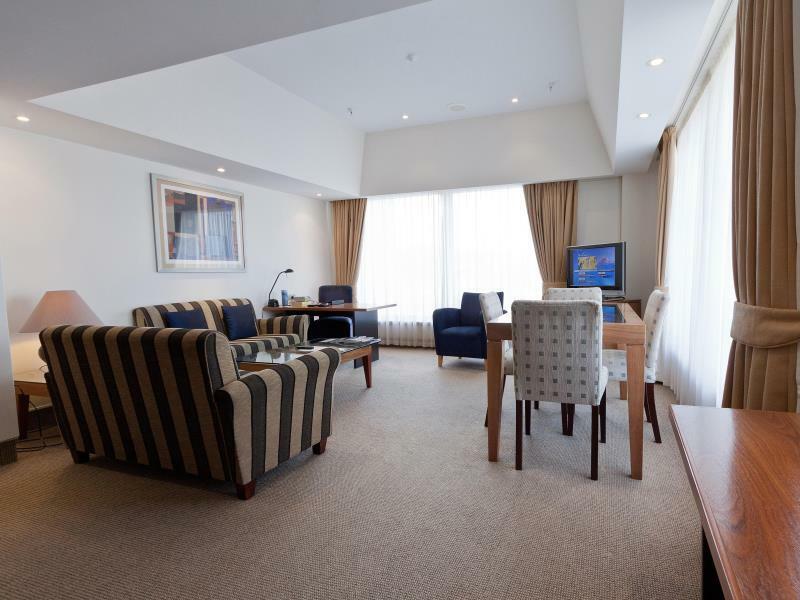 Strategic location for both business or casual traveller. 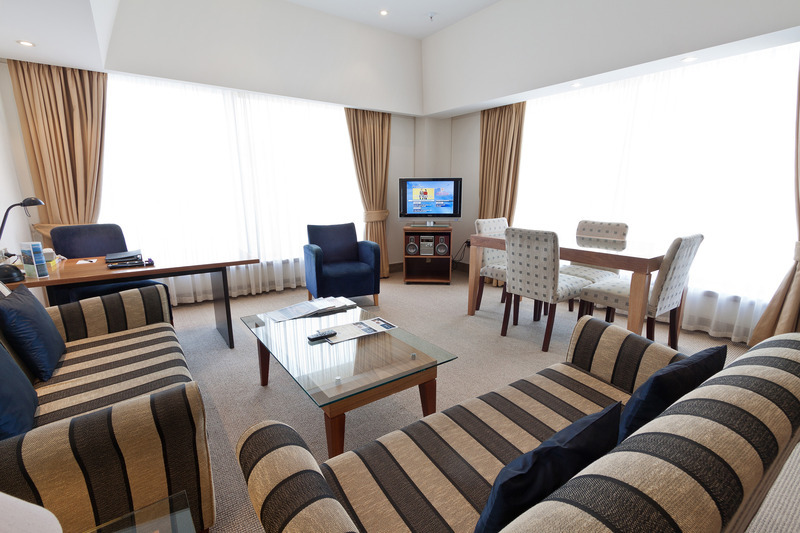 Very comfortable room and easy to access surroundings places. Spacious, Walking distance to shopping malls, the best hot chocolate served!!! I was given an upgrade for my room due to the bathroom leakage next door. Even though my room was not affected, consideration given by the staff was very much appreciated. I opt not to move though, because i thought it was not necessary. Kiddos to all the friendly staff. Lads trip to Wellington for Beervana. Check in was professional. Our room was nice and tidy, and the bathroom spacious. We liked that this hotel was central - you could take a lift straight down to the Lambton Quay shopping area, and the hotel was only a 15 minute stroll away from Te Papa museum and Cuba Street. We also went on a cable car ride up to the Botanical Gardens. Concierge efficiently stored our bags for us, as our flight didn't leave until later that evening. There were also taxis available regularly outside the hotel. Hotel was good..cafe in the lobby did good coffee...Beervana was fantastic, a good stay in Wellington. We needed shared twin facilities which was perfect for our group of four. Spent most of our time out on the town though..haha. Check in was professional. 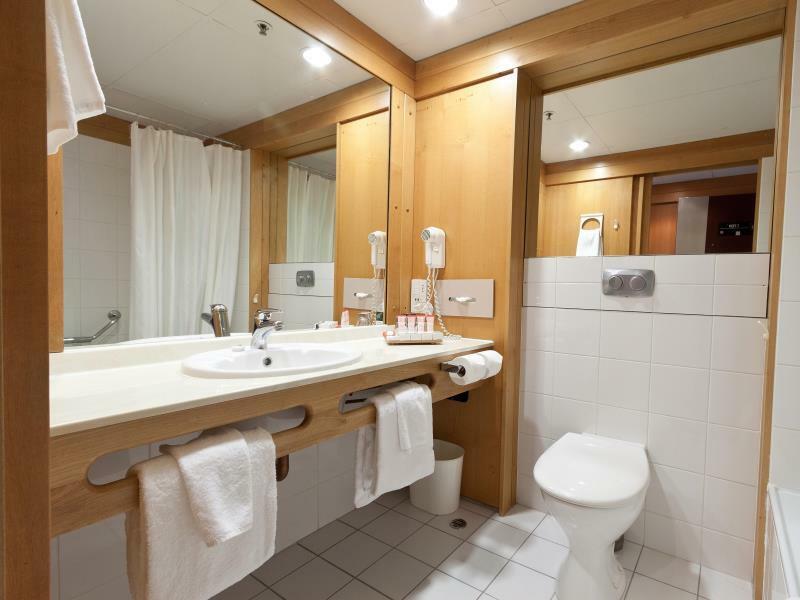 Our room was nice and tidy, and the bathroom spacious. We liked that this hotel was central - you could take a lift straight down to the Lambton Quay shopping area, and the hotel was only a 15 minute stroll away from Te Papa museum and Cuba Street. We also went on a cable car ride up to the Botanical Gardens. Concierge efficiently stored our bags for us, as our flight didn't leave until later that evening. There were also taxis available regularly outside the hotel. Hotel was good..cafe in the lobby did good coffee...Beervana was fantastic, a good stay in Wellington. Great location and spacious room. Only downside was that only one lift was working so we had to wait a while to get in and out of the building. Staff was friendly. Am just very happy with staffs n location. Thank you very much. 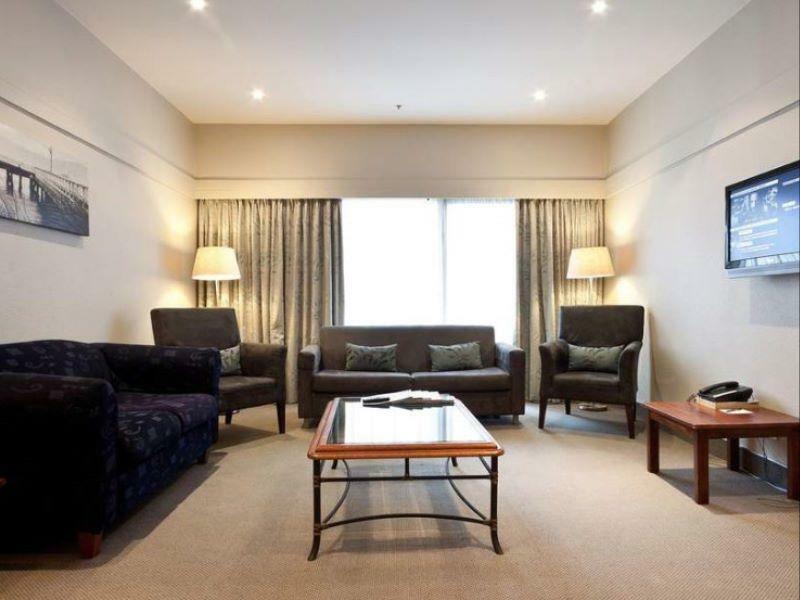 Its a pretty standard business travel hotel located in the heart of Wellington's CBD, with easy access to the town via an elevator that lets you out on one of the business districts main streets. 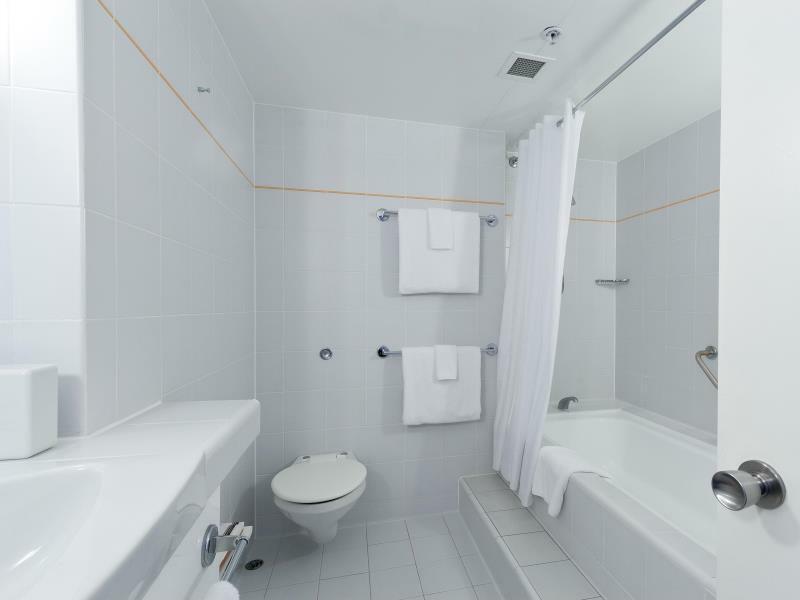 The hotel is clean and comfortable in addition to being well located. The valet parking also makes life easier for a reasonable cost. 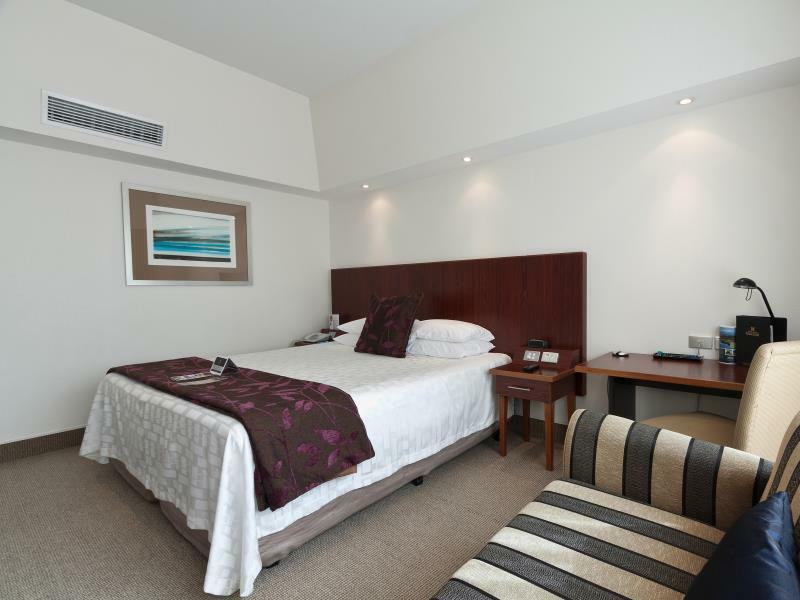 This hotel, while located on The Terrace has direct lift access to Lambton Quay and is in close proximity to the waterfront. So the location is perfect for shopping and dining. I didn't have a view but I'm sure some rooms must have a view of the bay, which would be very nice. Ask reception if you staying there. I stayed in James Cook few times during this year and have been always receiving friendly, professional and very welcoming service from all staff. 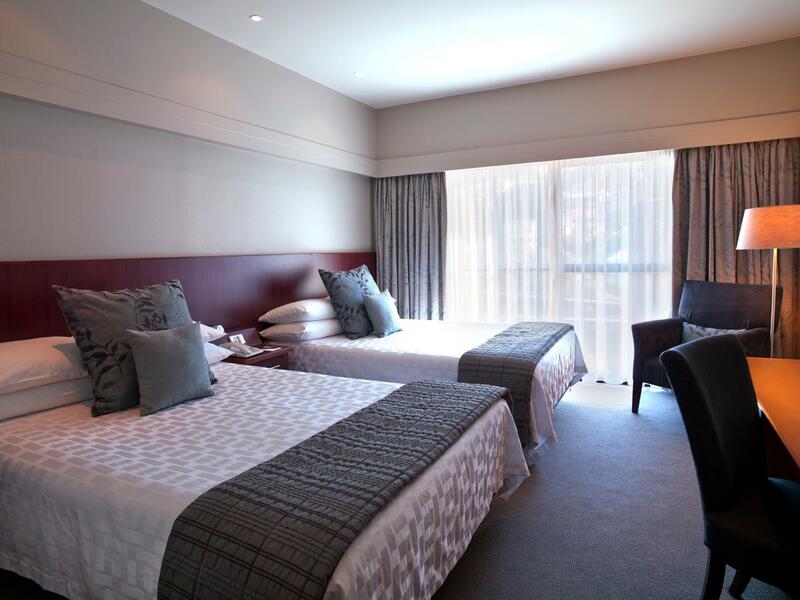 The location of the hotel is perfect and rooms are very cozy. The only thing I would change - add a little more of kitchenette (like plates and knifes). The hotel has on-side gym and also provides with a complimentary day pass to Les Mills gym which is awesome option for people interested to keep it feet. Breakfast has a good choice. One of the staff members remembered how much coffee I drink and provided me with a mug next time I came for breakfast. Small things like this make big difference! I enjoyed all my stays in James Cook a lot and thankful to the staff for their hospitality.